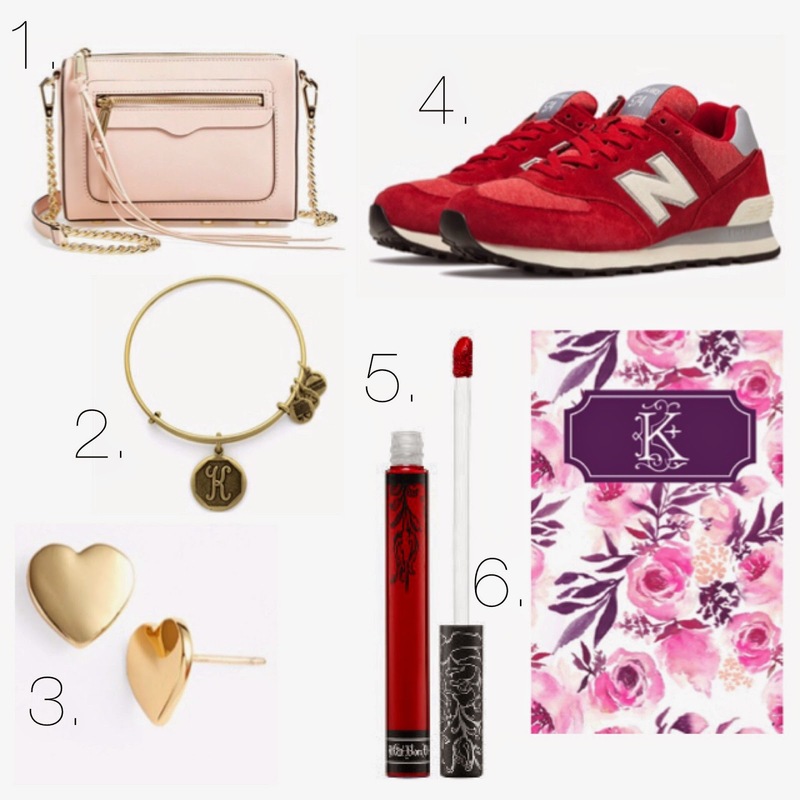 Last week I posted some Valentine's Day inspiration for that special guy in your life, but it seems that the ones who really need the help are the men ;) SO, today I'm posting a few of my favorite things to share with you guys that will hopefully inspire you to get that perfect gift for the lady in your life. Or maybe you ladies will just treat yourself to a little something extra! 1. One of my favorite bags that I've had FOR-EV-ER is a Rebecca Minkoff bag like this one. It's the perfect size to throw a few necessities in, and I love the classic look to it. 3. Anything Kate Spade is always a good choice in my book, but I thought these heart earrings were adorable and perfect for Valentine's Day. 4. My husband just switched over to New Balance and I couldn't be more excited to try out their shoes! Not only have I heard how comfortable they are (perfect for the active lady! ), but they are totally "in" in the fashion world right now. Can't wait for mine to come in the mail! 5. I LOVE red lipstick and this Kat Von D "Outlaw" liquid lipstick is my absolute favorite. It stays on better than any lipstick I've ever tried, and the color is amazing. 6. May Designs Notebook. I love notebooks and they always come in so handy. They are perfect for journaling, taking notes, making lists, or whatever it may be. May Designs has a ton of adorable options and you can even customize them! Does the Kat Von D lipstick also have good moisture too? All the ones i've tried on always dry out on my lips, i usually use Burt's Bee's lip color which is ok but still dries up later.